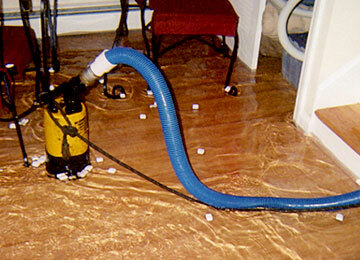 When dealing with a flooded basement caused by ground water or a leaking water heater time is of the essence to prevent mold from forming. 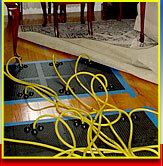 Most people focus their attention on the wet soaked carpet that they can see and would like it to be dried and saved. 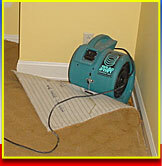 But the real damage is hidden wicking moisture in the walls, this is where mold can grow and cannot be seen. 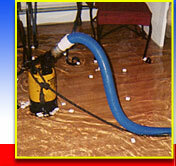 Pumping deep water out of the flooded basement is the first step followed by water extraction from the soaked carpet and floor. Thorough drying of the wet walls and structure as well as application of an antimicrobial are key to preventing mold damage. 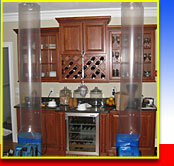 Flooded Basement Service, Flooded basement pumping and water removal service. 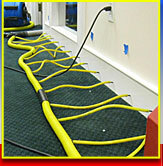 We specialize in pumping out flooded basements and buildings, from large commercial buildings to homes. We have a large inventory of pumps, ranging from small to the floor pumps for homes to very large capacity high head pumps for commercial buildings. 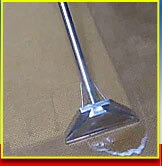 Wet carpet extraction and water removal followed by drying and repairs.